As you can see in last Friday's post, I've already signed up for the AtoZ Challenge for 2019, the only one for the coming year that I have found so far. It seemed a little early, as many of these do not start popping up till November or December, some in October (I posted all mine for 2018 in October 2017). I am now deciding what to host for 2019. I'm certain I'll bring back the Memoirs one. It had the most signups this year, with 16 participants. Creativity had the second most signups at 14, followed by Epistolary with 11, Humor with 6, and Literary Loners with only 2. I'm now considering retiring that last one, but if anyone else wants to take over hosting, let me know, and you've got it (whoever takes over, I'll be glad to join you). I'm pretty sure I'll be bringing the others back, though. I missed there being a Mental Illness challenge this year. 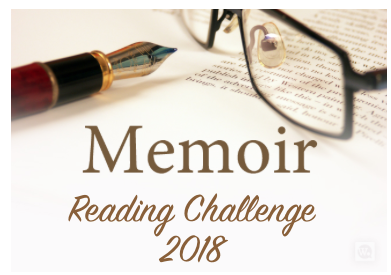 The one I had been doing was deleted before the year even began, and I could not find anything similar so I kept tract of Mental Illness reading as part of this challenge. I now want to start a Mental Illness Reading Challenge for next year, because it's a topic that's close to me. That one will be a go. Which ones do you want to see come back? Any other topics you would like to see? Reversible or Half & Half? Who has decided on a costume for Halloween this year? Seems too early as of yet, though the stuff is up at stores now, some since August. Well, I have and am currently gathering material needed. And since the holiday falls on Wednesday this year, our party at work will be that day rather than on the previous Friday as has been true in previous years. OK, here is the question again. Would you wear a reversible costume, or would you go half and half? Here's the explanation. Some time ago, I came across several reversible costumes for sale online. This sounded like a weird idea to me--does this mean changing from one side to the other several times a night, causing others to be deceived? Or as someone suggested, if you get kicked out of a party, go and reverse your costume and sneak back in. Or just be one thing one year and the other the next. This a half-devil half-angel, both in one costume. I made one of these one year using two old graduation robes from a thrift store, cutting each on half and sewing them together. When I saw the lady bug and bumble bee reversible costume (in the first photo), I remembered this one and got an idea to make a half and half costume of a bee and ladybug. I have already bought two t-shirts, one red and one yellow, and some black stretch pants from Goodwill and have been looking online for ways to create wings and antennae. I will be cutting the shirts in half and decorating them with black spots and stripes, then putting them together. More to come on this. Now that is an interesting idea. Alice and the Cheshire Cat in a single costume. Maybe someone could do Alice and the Queen of Hearts in a single costume? Or any of the other ideas shown in the reversible costume pics above? Does the idea of a reversible costume or a half & half one appeal more to you? Would you do either one? And would doing a half & half of any other ideas shown above seem like a good idea to you? I'm not sure how do combine the Red Riding Hood and Dorothy into one, but someone else might come up with something. Same for the racer and flag holder one. Wow! Already one up for 2019. I finished this year's challenge in August. And I'll be in again next year. I sent in my memoir to the Blydyn Square Books publishing contest yesterday and am officially entered. I had chosen to send it by email to avoid the postage costs and to avoid using a lot of ink, and because the deadline is less than two weeks away. Otherwise, I would have stuck with postal mail as I still believe in that method. Both methods have their ups and downs. Now that that's over, I am deciding what to work on next. Since I already began notes for a diary sequel, I guess I can go from there. Though I'm still questioning the title of my first one! Need to think about that one more. And just last night I had weird dream that seems like a basis of a novel. I may try to recall the dream, but am not too sure. Sometimes I can recall dreams, but not always in full. But I guess I can add details if and where necessary, if i go this route. 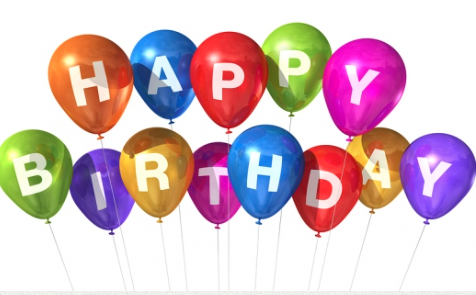 Also today I want to wish a Happy birthday to Stephanie Faris. Is Being A Perfectionist Holding You Back? Writers are well known for being perfectionists, and why not? Writing a novel to be proud of takes considerable time and effort, and wanting to get it absolutely right before you send it to publishers or share it with the world makes good sense. However, there is a downside to perfectionism if taken to the extreme. While it’s great to be contentious and thorough in your work if you won’t let it go until it’s 100% perfect you are going to come up with a rather significant problem. No piece of writing is perfect. That’s the truth of the matter. 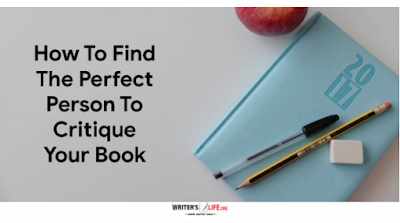 Even the most well-received novels and celebrated writers don’t write perfect stories, and they certainly don’t start out anything near that way. If you keep holding onto the idea that you can make your story perfect, you’ll never finish it. If you are too self-critical, if you never share your work, if you edit your work so much that you aren’t even sure if you are making it any better, you may well be a perfectionist. Here are some tips to help you get past this. 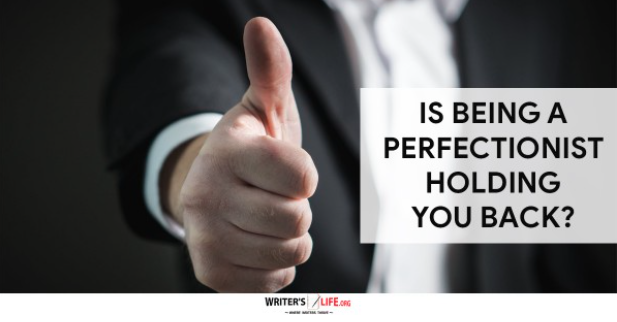 Tell yourself that you can perfect your writing later, and then focus all your energy on getting that first draft down. 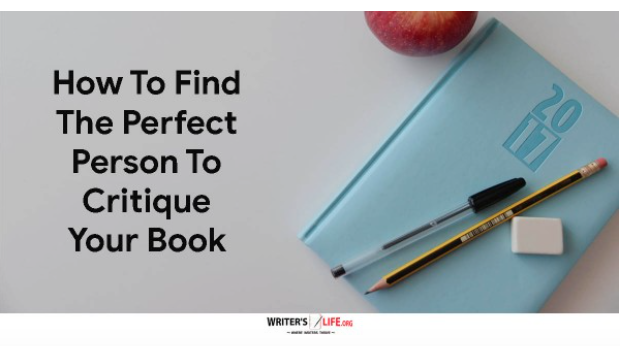 If you can put aside your aspirations of perfection until your first draft is finished, at least you’ve got the groundwork done without letting your perfectionism get in the way. Expect rejection, expect to feel uncertain, expect to look back at something you’ve written and feel shocked at how bad it is! This is all completely normal. The reality is that most writers will experience rejection and criticism and that’s OK. If you can be realistic about this and not let the fear of it happening to you block you from getting your work out there, you will at least be able to say you gave it everything. There are always lessons to be learned when it comes to writing. From tips on how to improve your prose to information about the writing industry, be open to learning as much as you can. Perfectionists often struggle with feedback and advice so trying to open up to learning, experimenting and absorbing input from others can be so helpful. The more you write, the better you get, but also the more you write, the more you will become used to the imperfections in your writing. Keep producing material, keep tweaking it, keep adjusting and reworking and editing, and learn and grow as a writer, and editor as you do. Accepting that a perfect piece of writing doesn’t exist is the first step. It’s hugely important to work on our manuscripts until we have created the world, the characters and the plot that we feel does our story justice. It’s essential to redraft and edit too. These processes take time and effort and can be very challenging. However, this hard work is not to be confused with perfectionism. Learning when to stop, when you have done enough and when you can be proud and satisfied with what you’ve achieved it so important. Embrace failure, accept your flaws and let go of perfectionism and you’ll be a more productive and happier writer for it! I began looking over my memoir to send to the Blydyn Square publishing contest. I need to get it in by the 30th and have opted to email it. As much as still love to send things by postal mail, I just had to make an exception here to save postage costs and to use less ink and paper. Ink gets expensive, too! Also, I waited a bit long and now have less than two weeks, but am determined to get it in on time. I had not been too certain about entering this, but my fellow clients and my boss have encouraged it. So yesterday I began looking for errors in spelling and grammar and such, but still find myself trying to delete and add stuff or make sentences shorter. It seem hard to get out a habit like this. I tried to tell myself to avoid this and just look for spelling and grammar but I still got in the habit of trying to make the story seem perfect. All I want to do is make it sound right to me and enjoy what I have written. I know that sounds like a bit of perfectionism., or does it? When I lasted looked it over, I felt what I had written was what I wanted to send out, but I knew they're would be some errors and I needed to look for those. But it was still hard not get into editing mode. And I did find some sentences I wanted to delete, so I did. BTW, I'm not all the way through it all yet, but am determined to get it done in time. Does this sound like any of you writers out there? How do you deal with this sort of thing? 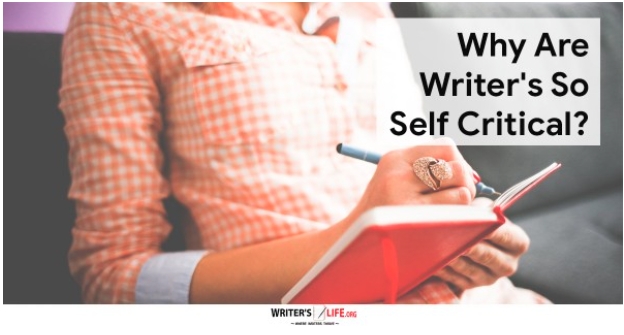 Why Are Writers So Self Critical? We writers are often our own worst enemies. We put so much effort into our writing yet instead of celebrating the fact that we are out there trying to live our dreams, or the fact that we are working hard and continually improving, we instead cripple ourselves with self-doubt and criticise our work more than anyone else ever would. Writers can be so self-critical that they end up sabotaging their work and ruining their chances of success. But why do we do it, and is there a way to change? Writing is scary. Few professions on earth are as overwhelmingly intimidating as writing. If you want to write well, you need to be vulnerable. If you're going to be successful, you need to put yourself out there, to talk confidently about your work and to act as though you think your writing is good enough - even though you may secretly think it is not. Writers, even successful ones, continuously suffer from imposter syndrome, worried that they will get ‘found out’ and their readers and publisher will realize they are nowhere near as good as they seem. Being kind to yourself, however, has many benefits. If you can turn that negative attitude around, and you are more likely to be productive and successful and happier day to day too! That’s not saying that writers don’t need to be critical. They do. They need to have a keen eye for detail and the ability to step back from their work and see when something is not working. They need to be able to accept that an idea might not be going anywhere, that a character doesn’t quite fit in with the story or that parts of their book are non-essential and can be cut. Without the ability to be critical we don’t have the ability to edit, and that’s an essential part of being able to produce decent work. This is different however to feeling ashamed and stupid when we receive a rejection, for feeling like a failure if we aren’t as successful as we’d like to be and being so afraid of what someone might say about our work that we don’t do anything with it. If we take rejection personally, beat ourselves up about where we are at in our writing career, jealously compare ourselves to others and try to convince ourselves to give up altogether, we can end up not enjoying the writing process, slowing ourselves down and missing potentially life-changing opportunities too. Changing a habit or behaviour takes time, practice and determination too. However, doing so can make a real difference. Instead of being self-critical, try being self-compassionate. It’s an important life skill to learn and can be applied to many areas, not just writing. By giving yourself more kindness and care, you are nurturing yourself, you are allowing for mistakes, and you’ll find you can be much more creatively free, notice an increase in productivity and your confidence about your work will make it easier to convince others too. Being self-critical can be crippling. So don’t let the destructive power of negative thinking influence your work anymore. Catch those self-critical thoughts, contain them and turn them into positives and you’ll soon see what a significant impact it can have on your work, success and happiness! How self-critical would you say you are of yourself? Not just about writing but about just anything. I felt that way at first when I began attending the art class at the center where I now work. I felt some of my work at first was not good. At least once I said it looks horrible. But others tried to convince me otherwise. I guess I was being my own worst critic in that area. I've stopped feeling this way however after four year of attending the center and two yeas of working there. As far as my writing goes, I can't seem to recall ever being too critical of my work. I've found stuff I want to add or take out, but without acting too critically about it. Perhaps I've just been kind to myself without thinking too much of it. Or perhaps it never have dawned on me to be critical of my own work. I will say I don't think that something should or shouldn't be in the story, but without getting in an overly critical mood. I guess criticism can come in different forms and doses. 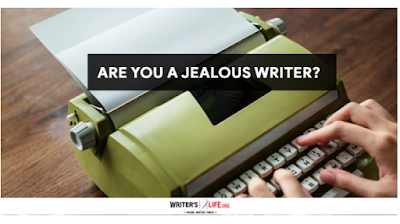 Are You a Jealous Writer? A common problem that many writers have to deal with is jealousy. When we hear of another writer’s success, of how their self-punished book just snowballed in terms of sales and they are now one of the top sellers on Amazon, or how they only sent their manuscript off to one publisher who picked it up immediately, or how their blog got scouted by someone who now wants to turn it into a novel. For most writers writing is a bit of a slog. We put hours and hours of time in - not to mention the blood, sweat and tears it takes to finish and book, and, for the most part, get very little in return. However, letting jealousy get the better of you can impair your writing and block your own path to success, so making sure you recognize when jealousy is getting in the way is very important. So what are the telltale signs that the green-eyed monster is rearing its ugly head? Let's take a look. You can’t stop comparing yourself to others. When it comes to most things in life, comparing yourself to others will get you nowhere. You have your own life to lead, your own challenges to face. All writers are different, all have something to offer, and all have unique and exciting stories to tell. Focus on yourself and what you want to achieve and don’t let the success of others become a barrier to getting there. You disengage on social media. If you can’t bear to look at other writers social media accounts or refuse to like or share success stories because you feel too jealous, you know you are letting it get the better of you. Writer’s need to celebrate one another - if you hit the big time you’d want that too. So remember to be gracious and positive and try to see that if another writer has made it, it only shows you that it’s possible for you too. You feel like giving up. When you hear of other writer’s success, does it make you want to pack writing in altogether? If so you are on a path of self-sabotage, and you need to get off it pronto! 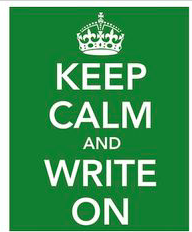 Everyone needs to go at their own pace, and if writing is what you love, then you should stick to it no matter what. You start bad mouthing other writers. If you find yourself so full of jealousy that you start bringing other writers down or bad mouthing them you need to take a good long look at your motivations for doing so. You might not care for their style of writing or enjoy their story, but apparently enough people did to make them successful, and it’s important to accept that. You blame it all on being unlucky. Sure it feels like some people put entirely no effort in and suddenly they are a famous, world- celebrated author. But that’s incredibly rare. For the most part, luck plays a very minimal role in the success of authors, and it’s hard work, strategic thinking and passion that really gets you places. Jealousy us a hugely unpleasant emotion, and while it can be a struggle for writes not to feel jealous of their fellow compadres, it is far better to accept their success with grace, (even if you do feel like it was all a fluke). Doing so means you can waste no time on this pointless emotion and then get your nose back to the grindstone, focus on your own goals and celebrate your own success instead. I must admit I have been prone to jealousy of others for various things. If I can say I'm guilty of one of the Seven Deadly Sins, it would be Envy. As far as jealousy of other writers goes, there haven't been too many around me that I have met, so not a lot of a jealousy in that area. But for those already published, I have sometimes felt I could never be as good as they are. I felt I ddi not have as good a depression story as others who have written on the topic and have been published. I felt I could not top Prozac Nation or that my story was not as interesting as that of the book's author. But does being a Harvard alumna make her story more interesting than others on a smiler topic? No, I came to realize. It's just part of who she was and her experience. I also came to learn that everyone has their own story to tell even if it's on a topic that has been written bout more than once. I have now been eager to hear other stories on this topic from different people, such as this one. I decided that I can say something on the topic, too and that someone may one day see my story as interesting as those that already exist. One must keep in mind that many of the best writers have been rejected toms point, some more than once, before they were finally accepted. I've never head the Harry Potter books, but been made well aware that the author was rejected many times before Scholastic chose to publish her works. The other publishing companies that had turned her down are probably now slapping their faces over the success that they missed from rejecting the stories. 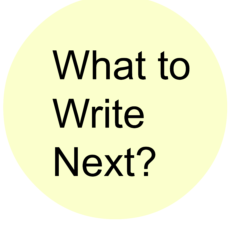 I've recently read several children's books published by Scholastic, Simon and Schuster, Harper Collins and Random House and am now wondering of these are where I should attempt to send my diary novel when I decide it's ready. I'm still undecided about the publishing contest at Blydyn Square Books, even though the deadline is at the end of this month. But what other companies publish memoirs? i guess I better find out that one, but probably most of them do. Do you long to be like writers who interact with people you admire? You’re hungering for their network. When perusing author websites, are you struck by their lists of publications? You want their success. While reading, do you feel like you could never write something on that level? You’re lusting for talent. Knowledge is power, and understanding the source of such feelings will enable you to pursue your real desires. I can't say offhand which of these applies most to me, but I have found myself saying I could never write something as good as what I am reading, so I may be lasting for talent in that case. But I make sure to do what I can and how I do it best for myself. That's where a person's talent lies. Everyone is different and everything works differently for each person. One just has to see how it works for them alone. But still you can take inspiration from others. One of the most important things any writer can do for themselves is get some feedback on their work. It might be scary, and hugely daunting to let someone else read what you've written. However, the sooner you get initial feedback, the better. Writers who choose not to share their work with anyone run the risk of writing an entire novel only for someone to point out a fundamental mistake. We are often so immersed in our stories that we can’t see flaws that may be apparent to other people. Getting feedback also helps the writer understand what they need to work on, where they might need to rethink plot points, whether their characters are working and what the good and not so good bits are. Of course, you don’t have to take every point on board, but without getting someone to critique your work, you can’t be sure you are heading in the right direction. But who should you choose? It’s effortless, not to mention convenient, to pick a person who you know will give you a glowing report. Your best friend, your mum, that person that you know has a massive crush on you, someone who owes you a favour…! However, getting feedback about your writing is pointless unless you know it’s a genuine and honest review of your work. So here is how to find the perfect person to critique your work. There is nothing wrong with asking someone who knows you to critique your work; but if you do you need to make sure that your relationship with that person doesn't get in the way of how they honestly feel about your work. If you know that they are the kind of person that couldn’t bear to hurt your feelings, then there isn’t any point. Someone who knows you will want to like your book, and will look for positives and words of encouragement, and there is nothing wrong with that, as long as they can constructively point out where you need to change things too. Finding someone who doesn’t know you to critique your work can be a way of knowing for sure you are getting an honest opinion. A person who doesn’t know you has nothing to lose by telling you the brutal truth about your book. There are many writing forums out there where writers can exchange their work and give one another feedback. Of course, most have rules about giving criticism only if it is constructive, so you don’t have to worry about someone being too cruel, but simultaneously be prepared to hear perhaps things you don’t want to. Getting a professional editor to critique your work is ideal. They have the experience, knowledge and skill to give you a thorough and in-depth review of what needs to change, what works and what doesn’t. However, unless you happen to be connected with someone in the industry you are likely to have to pay for this service. Joining a writing group can be hugely beneficial for so many reasons. One of them is that you get to share your work with a group of fellow writers who know exactly how to give useful feedback that you can choose to take on board or not. Joining a writing group also means you get several different opinions which is always helpful too. If you already have an established readership, an email list or fanbase why not test out your new work on them? They’ll be more than happy to give you their opinion and are worth listening to as they are the ones most likely to buy your book after all! Whoever you choose to critique your book, make sure that you do it early on, and don’t just do it once either. The more feedback you get, the more you can rest assured that you are on the right track, that there is a readership out there, and ultimately that you are giving your book the very best chance of success. This is one area I have trouble with. Though I did get several people from work to read my diary novel and all of them liked it. I have yet to attend the critique group near me, as so many other things have been coming up, but I plan to maybe later this month. I'd really love to see what others I've just met think. I'm getting eager to attend one of the meetings, which meet at 3PM on Saturdays.I'm just glad to have found a group nearby, even if my attendance will have to be sporadic. Any little bit helps. As I said in this post, I let the blogger read my story and he liked it also, mentioning it on his blog. My mom's friend is basically the only who didn't give any positive feedback, thinking my protagonist is extremely cynical and a pessimist. My mom herself still hasn't finished reading my story either. 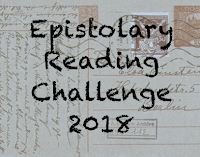 Announcing the BiteOber Halloween Reading Challenge! This one runs throughout October. 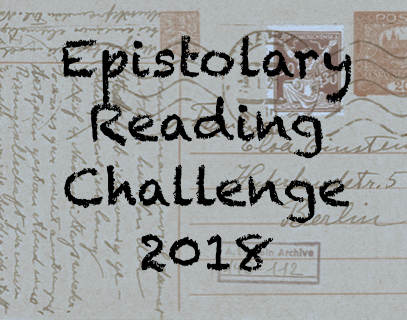 Every year I host The Paranormal Reading Challenge, a year long reading challenge and I also host a related month long challenge called BiteOber. This year I am also hosting an autumn reading challenge called the Sweater Weather Reading Challenge that does not include horror books so I will be adding general horror to BiteOber this year! Halloweentime is the perfect time for reading vampire and werewolf books, right? Okay I know anytime is but Halloween seems extra bite-y. (That sounded way better in my head.) 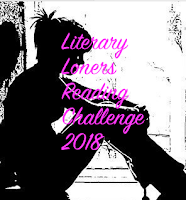 Well it's also great for zombies and killer clowns and all sorts of monsters that bite so I have decided to expand this reading challenge includes a variety of things that go bump in the night. 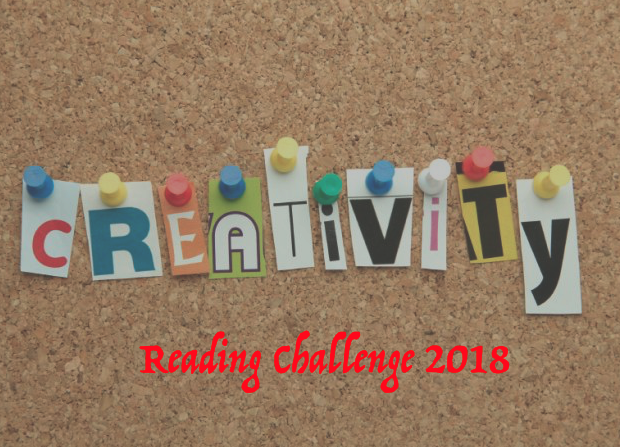 You can participate in only the October challenge or sign up for my other reading challenges. All paranormal books read for the month long BiteOber challenge may count towards my year long 2018 Paranormal Reading Challenge! Please note horror and paranormal aren't necessarily the same thing but the genres do overlap. 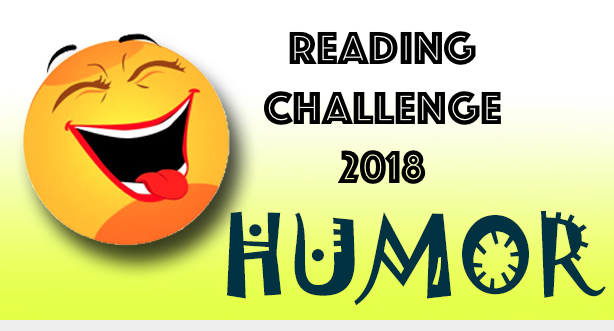 This challenge begins October 1, 2018 at midnight and ends October 31, 2018 at 11:59 PM. You may sign up anytime between now and during the challenge. I won't be creating different levels. Read as little or as many books as you want. Read just one book and still participate. 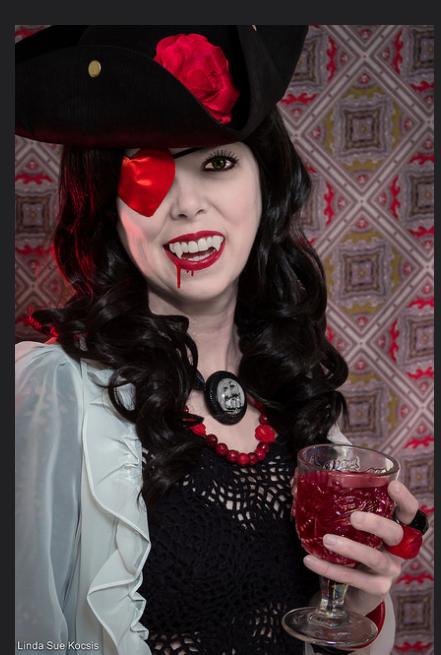 Books may be ANY type of horror book but ideally should feature vampires, werewolves, zombies, demons, killer clowns, and any other monster as main characters or secondary characters. This year I will allow books about murderers, serial killers, ghosts, witches, and other types of horror. You may include books of any format including traditional books, ebooks, or audiobooks. Books may be YA, adult, horror, romance, etc. 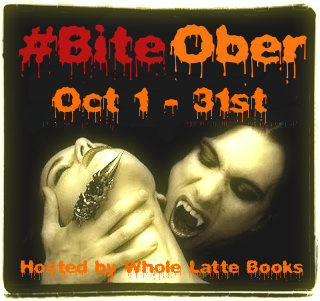 If you could be so kind, please place the BiteOber Challenge banner on your blog to help spread the word. Sign up below using your blog, Goodreads, Twitter, etc. I just published my first work on Wattpad. It's a poem that I just now wrote. One way I learned to write poetry was to take a line from a poem to create one of your own. I recently looked up poems by Wendell Berry (for party favors at the 60s party we held at work) one of which is called "The Silence." I got this quote from this blogpost. The author was mindful of copyrights, as am I, and only quoted the poem in parts. The full poem can be read here. If you get a chance to read my poem, please let me know what you think. Arrr mateys. September 19 is International Talk Like a Pirate Day so this month’s bingo card is pirate themed! Good luck! Bonus points for a male pirate on the cover! 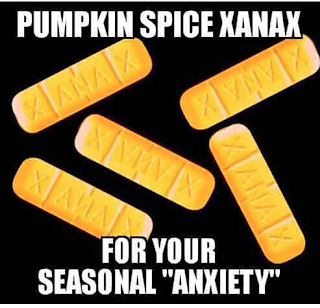 Oh, yeah, I'm starting to see pumpkin spice memes now. 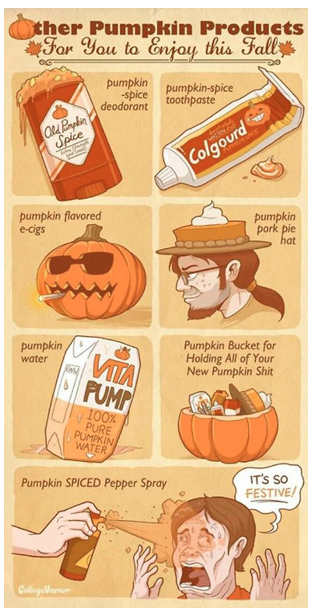 And it seems like there is a pumpkin spice for nearly everything now. But this would be going to far if it were for real.